Nominated: Edgar Award, Best PBO, Barry Award, Best PBO, Anthony Award, Best PBO. NOTE: All works on this list are available for purchase from a variety of mainstream, online and indy booksellers. 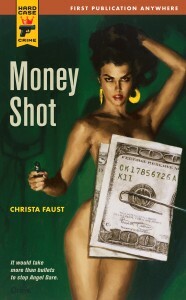 Money Shot Hard Case Crime, February 2008.